This weekend is the United States Grand Prix at the Circuit of the Americas in Austin, Texas. 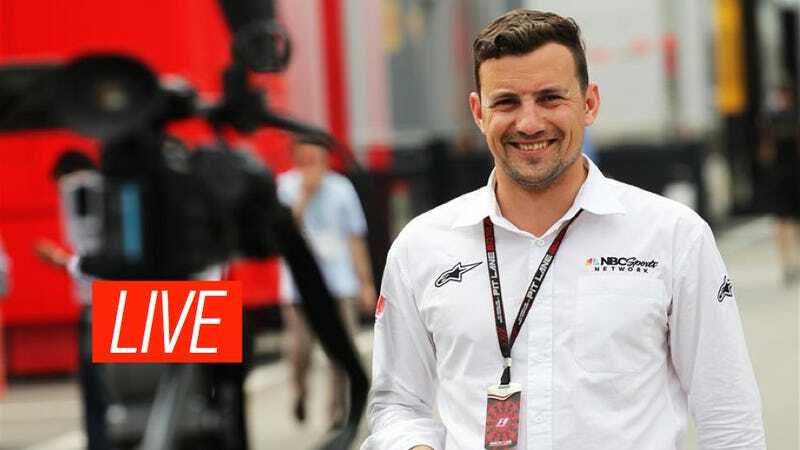 One man reports live from every single race for NBC, and that's pit reporter Will Buxton. Before this weekend's USGP, Buxton has graciously taken some time out of his schedule to answer your F1 questions. Fire away! Buxton has worked like mad to get to where he is. He's only in his early 30s, but he's the voice of F1 in America at every single race on the calendar and started out by following teams around and covering GP2 for his own blog. But for now, Will is excited to answer all of your questions. Let's go!